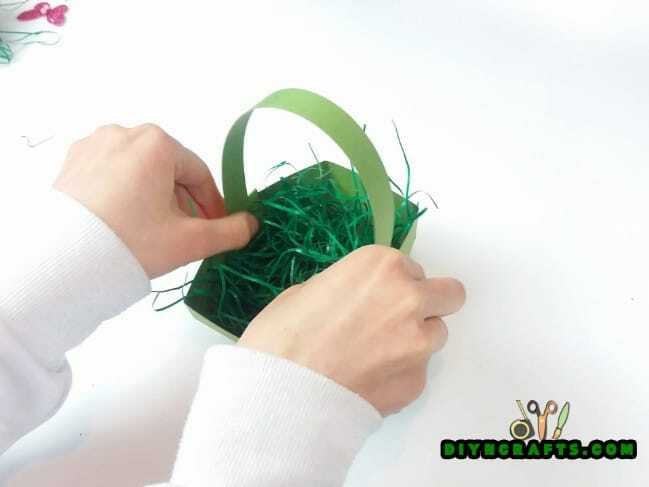 Home » Crafts » Here Is How to Make a Beautiful Easter Basket … Out of Paper! 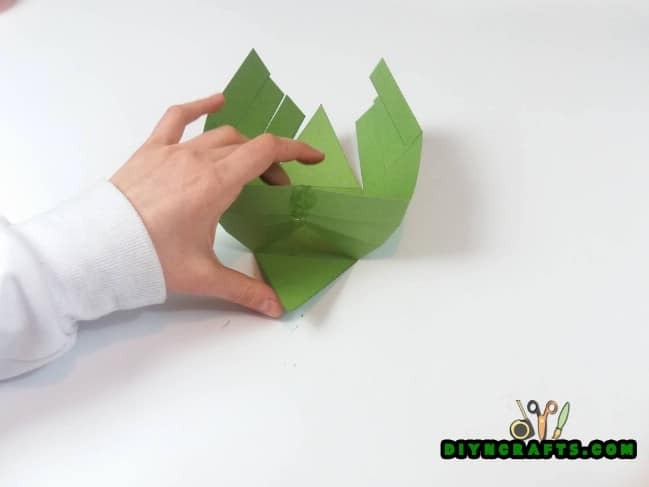 Here Is How to Make a Beautiful Easter Basket … Out of Paper! One holiday which my kids look forward to every year is Easter. Both of them are very crafty, and they love painting the eggs. Each year they blow my mind with the beautiful designs they come up with and the cool techniques they try. So this year I decided to search for a fun craft to help them display their eggs. Recently I’ve been posting exclusive videos with Easter crafts which are made out of paper—like this Easter flower, and this Easter bunny napkin place setting. Now I have a new video for you which teaches you how you can make an Easter basket out of paper—perfect for displaying beautifully painted Easter eggs! 2. The next step is to cut along the lines in the squares you have in the four corners. You are not removing anything from these squares, simply creating strips of paper. You then cut around the triangles you have drawn. See the image below. 3. Fold along the long horizontal lines running through the middle of the paper, pushing the strips and the triangles inward toward each other. This helps to create the basic shape of the basic. 4. Next is a step which is tricky to describe in words, but easy to show in the video. On one side of the basket, take the two strips which are closest to the central triangle, and fold them toward each other. Dab some glue where they meet so that they stick together. 5. Continue to do the same with the remaining strips. Once you have glued all six of the strips together, you can pull the triangle up and glue that in place for a neat, finished look to one side of your basket. 6. Turn the basket over and do the same thing with the other side. You now have completed the body of the basket. 7. 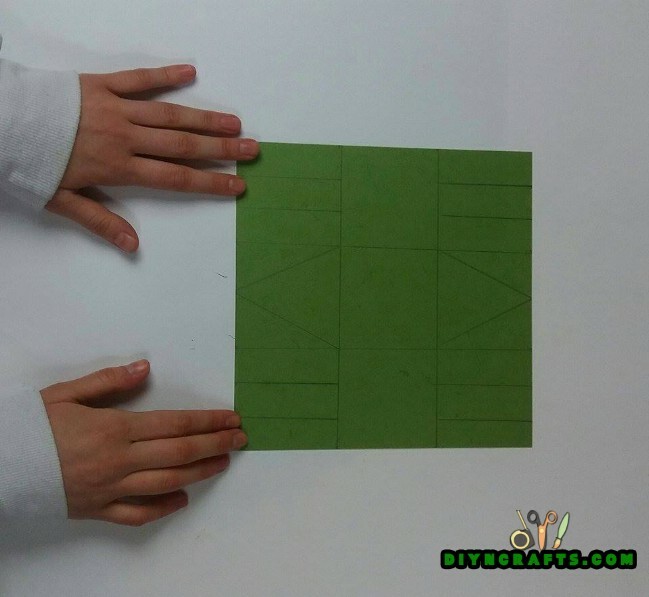 Cut two small circles out of a separate piece of paper and fold them in half. 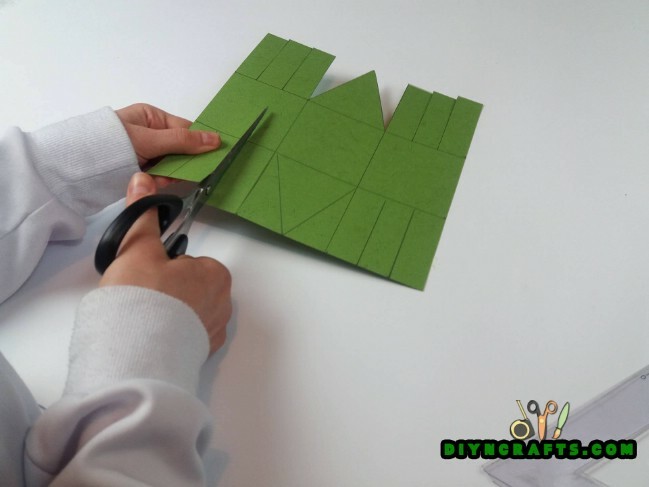 Fold them over the tips of each triangle and glue them in place on the sides of the basket. 8. Cut a single long strip to serve s the handle of the basket and attach it. 9. Put grass inside the basket. 10. 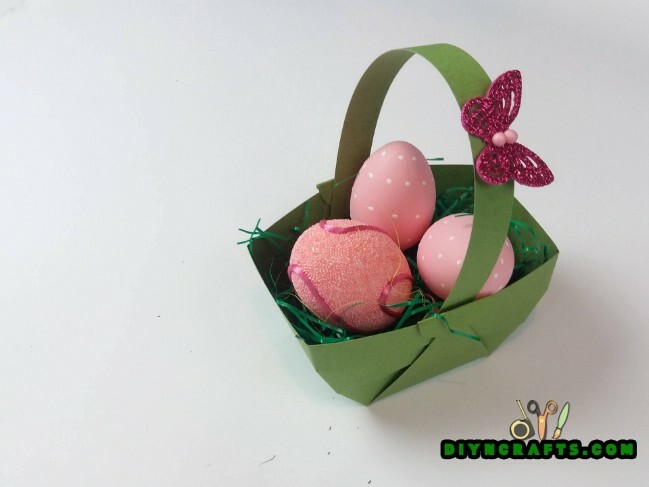 Decorate the basket with the small butterfly or other embellishments of your choice and put the eggs inside. 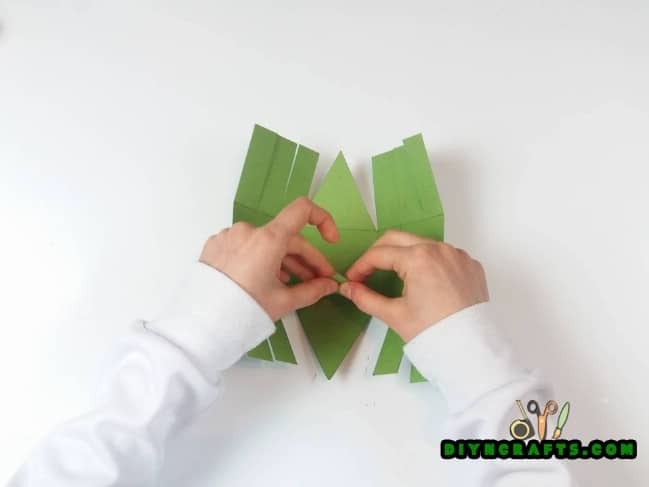 Have fun, and enjoy this creative and beautiful project for Easter, perfect for kids or adults!